If you’re studying in Glasgow, then Collegelands is a great choice for your student accommodation. There’s our location for a start – we’re handy wherever you’re studying in the city. We’re just 5 minutes walk from the UNIVERSITY OF STRATHCLYDE and the CITY OF GLASGOW COLLEGE, around 15 minutes walk from CALEDONIAN UNIVERSITY and just a short subway ride from the UNIVERSITY OF GLASGOW. Plenty of accommodation choices! From an EN SUITE ROOM in a shared apartment or your very own en suite STUDIO in Glasgow, we have a variety of rooms available. Plus, there’s also SOCIAL SPACES to enjoy. 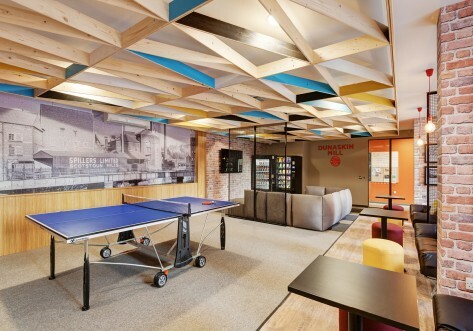 With a huge flat screen TV, pool table, and break out areas, Collegelands Glasgow is a great place to hang out with friends, and meet new ones! And FREE WIFI means you can use your iPads, iPhones, tablets and laptops wherever you are in the building! 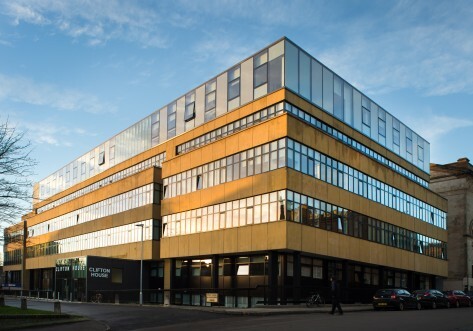 We’re just 5 minutes walk from the University of Strathclyde and the City of Glasgow College, around 15 minutes’ walk from Glasgow Caledonian University and also within a short subway ride from the University of Glasgow. 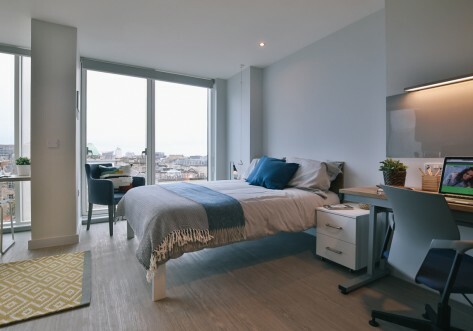 The shops, bars and restaurants of the City Centre are close by and the stylish new accommodation with secure grounds and Social Spaces offers a welcoming base at the end of a busy day. Ground floor rooms small double bed alongside your own en-suite shower room, ample storage and study zone, then it’s off to cook in the apartment’s shared kitchen/living room. If you’re going for extra space, then this is the one. There’s room to make the most of the small double bed and en-suite shower room, plus storage aplenty. Then off to the shared kitchen/living area for a bite to eat. Self-contained studio living starts here for you and perhaps your plus one. 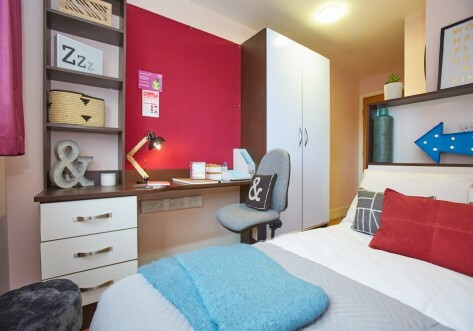 If you choose to share the en-suite shower room, small double bed, bags of storage, fitted kitchen, dining area and study zone, there’s no more to pay. Studio living at Collegelands doesn’t get any roomier than this spacious studio. The top notch facilities feature an en-suite shower room, small double bed, bag-loads of storage, fitted kitchen and study area. Book now and save £150 on Premium En-suites and Studios! T&C's apply. Visit our website for more information.